Emma joined Ellis-Fermor & Negus in 2004 at our Long Eaton office following completion of her A Levels from Ockbrook School in Derbyshire. She then went on to complete her Law Degree part time whilst gaining valuable experience within the firm, graduating in 2009 from Nottingham Trent University with an LLB(Hons) and has gone on to study the Licensed Conveyancer qualification. In 2010 Emma transferred to our Beeston office where she is now head of the Residential Conveyancing Department within the Beeston Office. Emma has lived in Derbyshire her whole life and has a detailed knowledge of the local area which has lead to developing excellent relationships with local estate agents, other firms and of course her clients to enable her to provide an efficient service. 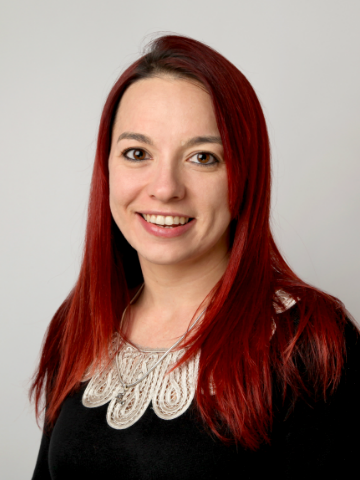 Emma deals with all aspects of residential conveyancing but has a keen interest in unregistered properties. I found Emma very easy to talk to and always made you feel welcome. She explained everything in an easy way, so I was able to understand what was happening all the way through. Emma was very personable and efficient just exactly what we needed! Emma was very professional and helpful. We have already recommended her to some friends. Emma made the whole process very easy and smooth. I could always speak to someone when I phoned the office and e-mails were answered quickly. Excellent service - thank you. Great service - clear communication, quick and helpful responses to queries. Highly recommended firm. Emma and her team we incredible, so organised. Thank you so much! Attentive, professional and efficient service conducted in an approachable manner. Emma worked very hard and effectively for us. It wasn’t an easy conveyancing with difficult vendors but Emma handled it with great competence. Thank you. Emma has been very prompt, efficient, helpful, clear and considerate. Excellent, thank you. Very pleased with the service, I felt things were quiet at one stage and I needed to ring the office, but besides the service was excellent. The reception staff were lovely when we had our 5-year-old grandson with us. They gave him paper and pencils to keep him occupied. Thanks to Emma and Hannah for all your hard work.